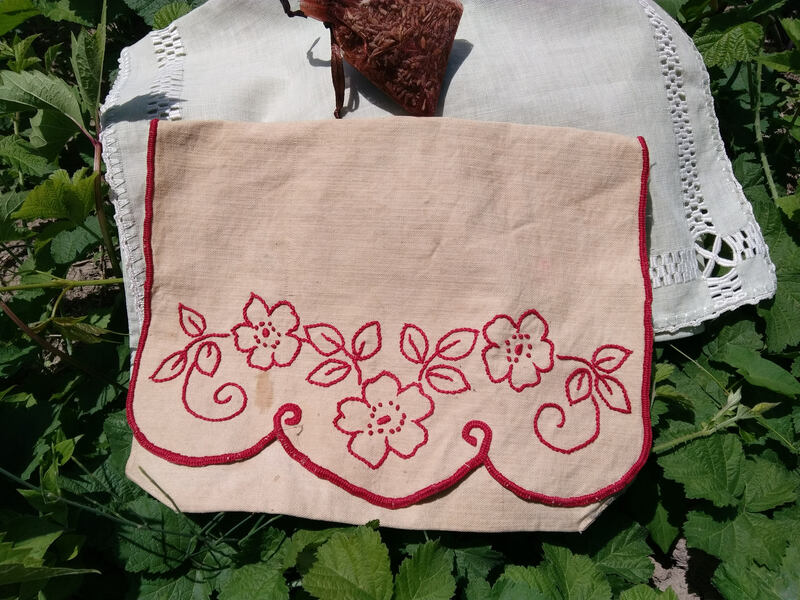 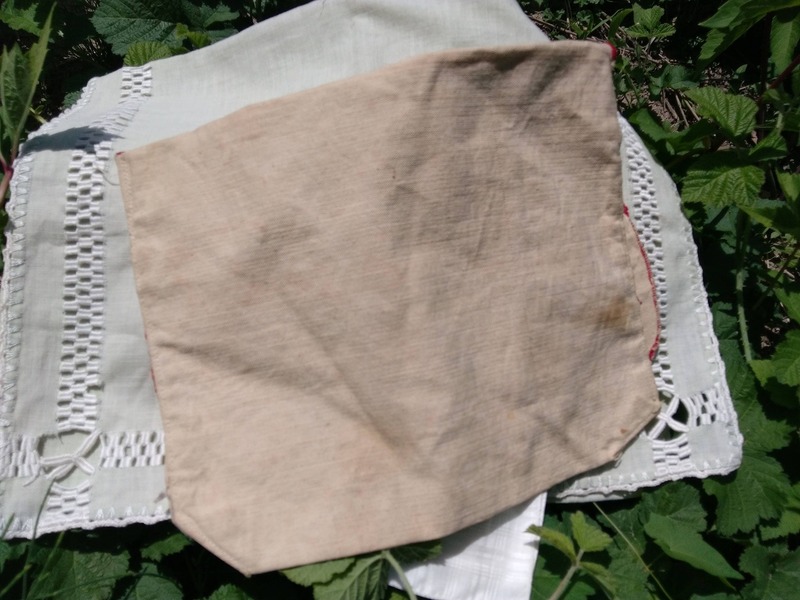 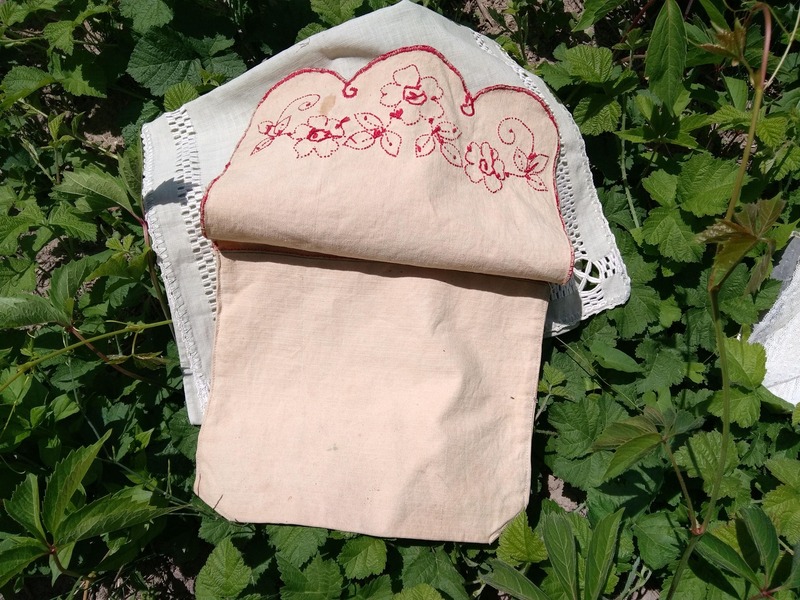 Victorian Natural Metis linen bag handmade . 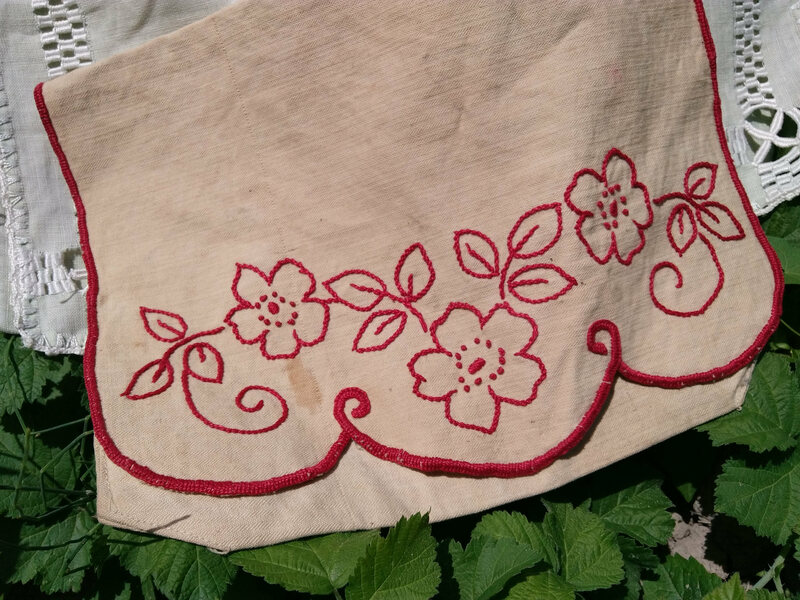 Flowers red work hand embroidered . 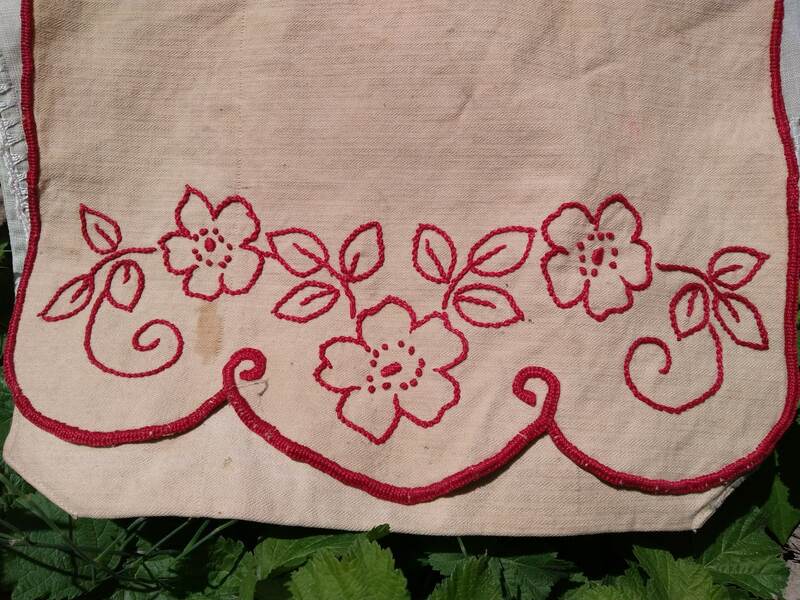 Good vintage condition with light stains.